Mossel Bay is a town on the south coast of South Africa about four hours drive from Cape Town. It has lovely weather and is a great holiday destination for those who love the outdoors. The town is situated to the east of a rocky peninsula which has high cliff faces which are buffeted by large waves rolling in from the deep south. On top of these cliffs is the Cape St Blaize lighthouse, one of only two manned lighthouses on the South African coastline. The lighthouse was erected way back in in 1864 and is a circular cast iron tower which is painted white. 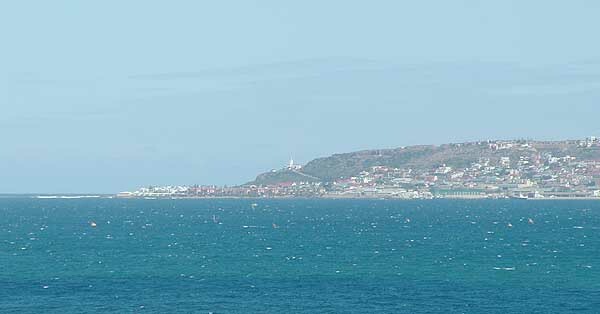 Mossel Bay was discovered by Bartholomew Diaz in 1488 when he came ashore and met the local Khoi tribes after seeing their large herds of cattle grazing on the edge of the bay. They were however hostile and would not trade with him. Ten years later Vasco da Gama came ashore at Mossel Bay and also met the Khoi tribes and had more success than Diaz when he traded trinkets for a bull. 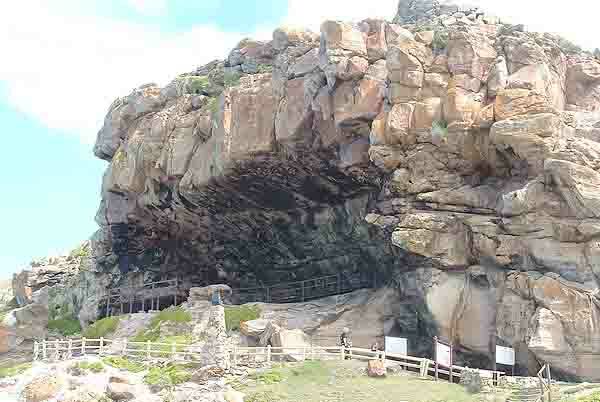 This was the first recorded business deal between Europeans and the locals recorded on the South African coastline. 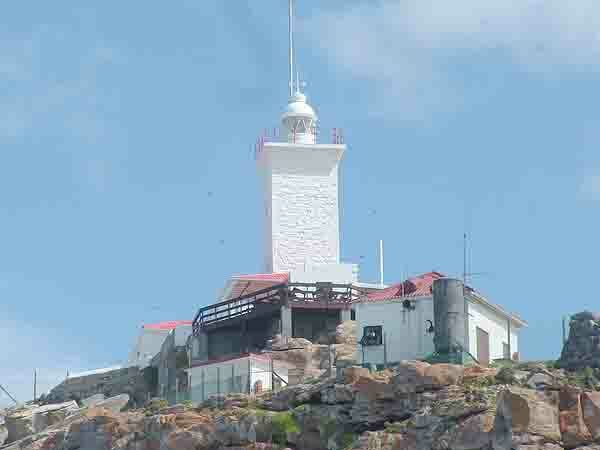 After this visit many other ships arrived in Mossel Bay and it soon became a post office for passing ships. The old milkwood tree which was used as a marker for mail is still there today. Its branches are gnarled and in some instances are held up by poles and brick walls. Mossel Bay was a sleepy hollow for hundreds of years, but when oil was discovered off the coast the town boomed. Soon afterwards an oil refinery was built on its outskirts and an oil pipeline from the oil fields now comes ashore in Mossel Bay. The effect was that people flocked from all over to look for work. Townships burgeoned on the hills above the town and Hartenbos a quiet holiday village to the east quickly grew as industry moved in to service the oil trade. 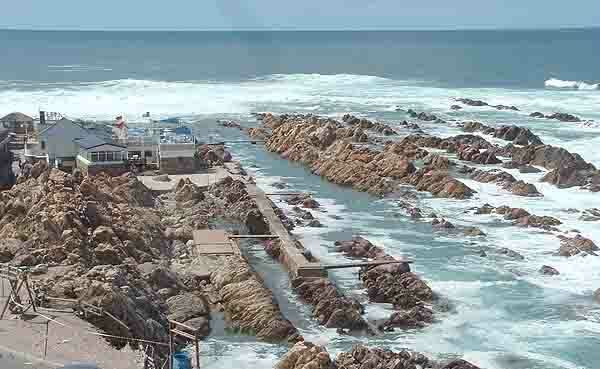 Mossel Bay is however still known as a holiday destination for most people. It has the most fantastic weather and is recorded in the Guiness book of records as having the mildest weather in the world, second only to Hawaii. Mossel Bay has taken cognisnace of this fact and all along the long sandy beaches chalets have been built to cater for the holiday invasion. In Hartenbos the ATKV have built a large holiday complex where they cater for thousands of people. 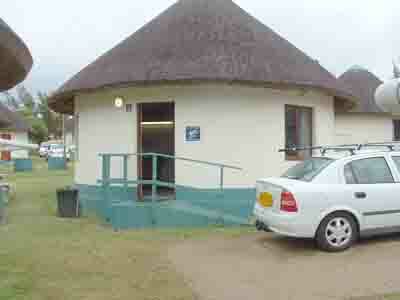 It has hundreds of bungalows, rondavels, houses, camping sites for tents and caravans. Over the Christmas season the farmers from the Karoo move their families to the coast and a whole tent city happens for the six weeks of the December school holidays. When schools start again the place is deserted and becomes a ghost town. Mossel Bay has much to offer visitors. For those who like older buildings , there are hundreds scattered all around the town and especially near the point below the Cape St Blaize lighthouse. 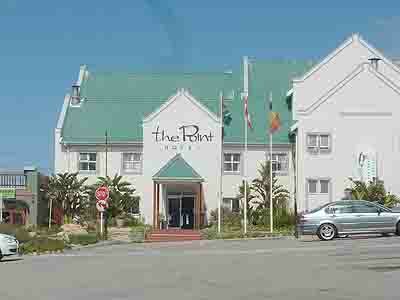 At the Point a large three star hotel has been erected and it looks out over the pounding surf . Below the hotel the rocky coastline breaks up the waves and over the years channels have been formed which are today used as safe bathing areas. Of course with a warm sea and a rocky coastline the area is a mecca for fishermen. Most men staying in Mossel Bay own a rod or two and visitors to the area bring at least one with them. With so many people fishing there will always be amusing stories. One visitor bought himself a new rod, reel and line and after setting up his equipment, baited up and proceeded to make a record cast. What he forgot, to do was to tie his line to his reel . A disaster for him as all the line on his reel rolled off and disappeared into the distance. The local fishermen saw the funny side and howled with laughter forcing this would be fishermen to run for cover as they cheered him. It's not all fishing though! Starting at the large cave below Cape St Blaize lighthouse is a trail that winds along the rocky coastline as far as Dana bay. The views are fantastic and the five hour walk is well worth the effort it takes to get to Dana Bay. For golf lovers there is an 18 hole golf course. It's the scene of my one and only game of golf and till this day I still pride myself on my score especially as I only had three clubs to play with. The course is built on top of the peninsula and has spectacular views over the town and the Indian ocean. It's a hilly course and when I played it a number of years ago it had very bad rough! "Virgin bush." Looking for my ball in it caused me much grief. Mossel Bay is a great holiday destination and if you visit it outside the bustling school holiday seasons you can have the place more or less to yourself.